You gotta admire the fact that Capcom is one of the few oldschool game publishers that actually re-releases its classic titles in value packed collections for fair prices (Mega Man X, Street Fighter, etc.) rather than sitting on them and hoarding them like a greedy dragon or drip-feeding them out like they're some precious resource. Capcom knows what gamers want and tries its best to deliver, and that's awesome. The latest Capcom re-release is a collection of 7 arcade classics in The Capcom Beat 'Em Up Bundle and it's another winner as long as you have friends to play with. See our full Xbox One review for all of the details. 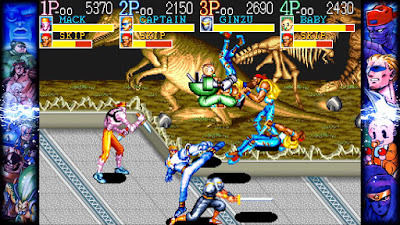 The Capcom Beat 'Em Up Bundle includes seven classic beat-em-ups from the late 80's and early 90's. 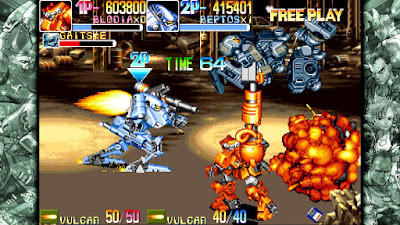 Games include Final Fight, The King of Dragons, Captain Commando, Knights of the Round, Warriors of Fate, Armored Warriors, and Battle Circuit, the latter two of which have never been ported to a home console before. The games include some promotional artwork and brief histories, but it isn't an exhaustive archive like the Mega Man collections have tried to be. Getting 7 games for $20 is still a great deal, though, so we're fine with not having a ton of extras. 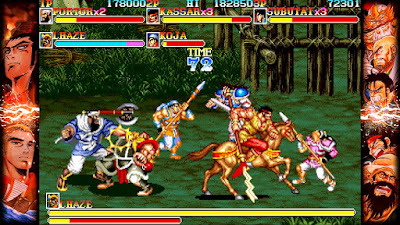 All of the games can be played with at least two players and a couple allow for four-players and they can all be played in multiplayer either locally or online. You can play them solo, of course, but I have to highly recommend you only play the games in multiplayer - preferably local because it's way more fun than online - since the games are pretty dry and boring if you're trying to play by yourself. 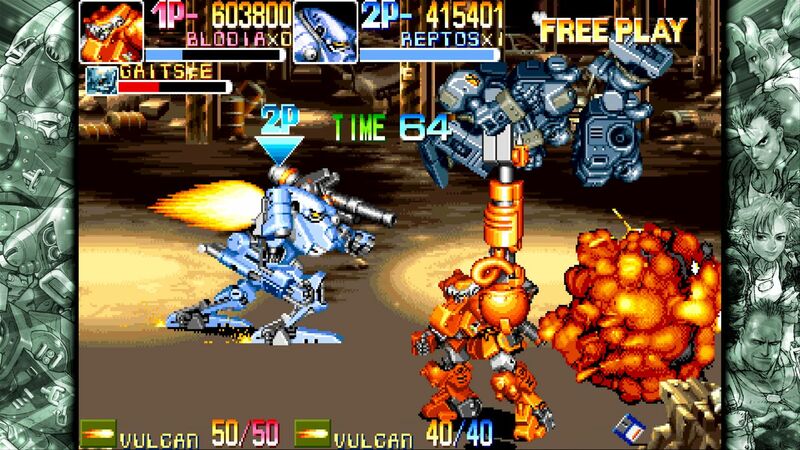 I'm not going to run down the gameplay differences between each of the 7 games because, honestly, they all play pretty much the same and the main changes are the aesthetics (although Armored Warriors mechs do stand out as being pretty cool). Whether you're in the contemporary streets, sci-fi future, medieval times, or Three Kingdoms era, the games all pretty much play the same with simple controls. You move left to right and fight waves of enemies with little more than an attack button, a jump button, and pressing them together (or pressing attack while in the air) results in different moves. That's basically it. The games do a good job of throwing different enemy types at you in order to mix up the gameplay a bit, but it is all fairly simple. Because they were arcade games, however, the games can be surprisingly frustrating and difficult and feel unfair because they were designed to eat your money. Thankfully, this collection offers the option of unlimited continues, which you're definitely going to need. Despite the relative simplicity and repetitiveness, these classic beat-em-ups also benefit from the fact that they're short at just around an hour long each so you're usually finished with one before you start feeling too burned out. Presentation-wise, The Capcom Beat 'Em Up Bundle has appealing menus and artwork and is clean and easy to navigate. The games themselves look decidedly of their time, but are fine. Surprisingly, there aren't any options for visual filters or scaling like we've seen in pretty much every other classic collection, but that is a minor complaint. 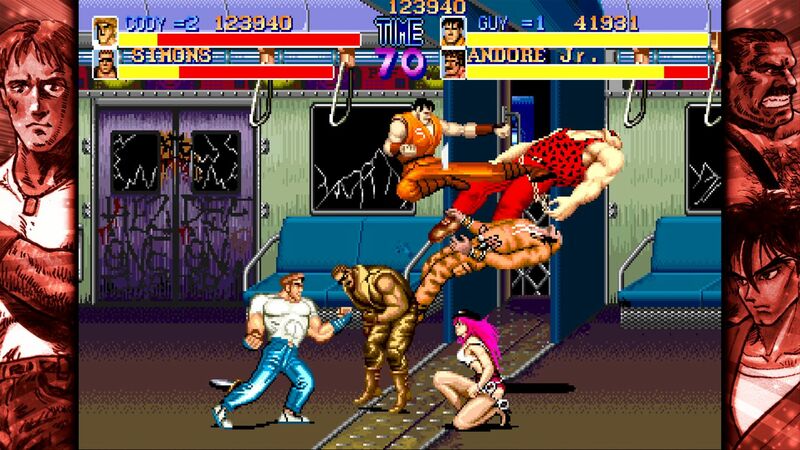 In the end, The Capcom Beat 'Em Up Bundle is a neat blast from the past and a solid value for the $20 price. While it is indisputable that these are classics, they don't even come close to representing the best in the genre and if you're used to playing more recent and modern beat-em-ups it can be hard to go back to these simpler times. Personally, I'd rather play Dragons Crown or Phantom Breaker Battlegrounds as they're just a lot more interesting. With that said, playing with friends in local co-op in all of the titles included in The Capcom Beat 'Em Up Bundle is a ton of fun and makes it easier to ignore their relatively simplicity and repetitiveness. Buy it if you have friends to play with.